WebOS, first from Palm and then from Hewlett Packard, came and went so fast most mobile software developers never even got a chance to play with it. Now HP has declared WebOS to be Open Source, placing the project (it’s really not a product anymore) under CEO Meg Whitman to show they haven’t totally given up on the mobile OS. But what is WebOS, really, in this new incarnation? Its potential is enormous — far greater than most people realize — but I simply don’t see HP and Whitman as being able to execute on the plan, if there really is one. So WebOS was simpler to start with and now it is free. Heck of a deal! But what can people actually do with it. In the HP world, plenty. Remember the plan was to put WebOS on everything HP made from printers to mainframes, sometimes co-resident with other operating systems like Windows. HP could use WebOS as a sort of glue to more elegantly link system parts together creating a strategic advantage in the process. Neither IOS nor Android are good at all things. Android plays well with its own services but doesn’t work nearly as well with Google’s other server-side offerings like AppEngine. IOS doesn’t like anything non-Apple. WebOS could be for HP the glue that holds its systems together making it suddenly more advantageous to go all-HP bottom-to-top, especially for enterprise customers, where the money is. Imagine WebOS alternatives for, say, cloud data synchronization like iCloud and SkyDrive, two terrifically complex and closed products. And by allowing third-party glue through Open Source, HP would be tacitly admitting that it can’t imagine or create every necessary component, so make one of your own, please. HP would sell hardware, they’d sell high-margin associated services, but the heavy development lifting would be shared with a large cadre of Open Source developers. At least that’s what I imagine the plan to be: HP hasn’t been clear. Open Source WebOS, then, is really an anti-IBM and Oracle (Sun) strategy more than anything else. So that’s what Leo Apotheker had in mind! But it can only work if HP makes WebOS truly open to the point of publishing APIs they might otherwise have kept hidden. I think a large part of the success of WebOS will depend on how successful Apple is in enforcing patent litigation against Google and Android. The more Apple can hamper and inhibit Android, the greater the chance manufacturers look to WebOS. This could be HP’s hedge against Google (and Apple and Microsoft to a lesser degree) and its very existence adds a potential out for companies like HTC, etc. Will it ever be used? Apple had OS X on Intel compilations for years as a hedge against PPC. The simple fact that there is an escape route, tortuous though it may be, might cause Google to pause in its treatment of the Android OEMs. Dead, never to be seen again. Maybe small code fragments or concepts will get absorbed elsewhere, but otherwise gone, the market has spoken. I do hope WebOS will make it. what Palm legacy? quick obsolescence? failure that transfers from company to company? Palm had one hit, the Pilot. it and stylii are long gone. WebOS developers are Symbian developers who just can’t seem to get that you have to sell something to qualify as a businessman. Palm’s legacy is in all of these devices. Just b/c they killed the company doesn’t mean those ideas of usability went away. I personally want something way simpler than all of these swiss army knives. Don’t want to start fanboi/flame war since pilots are ancient history but compared to other platforms of the time (read Win CE) they were way simpler & leaner at doing their basic tasks like scheduling, notes, contacts. “Whoever has the most toys wins”. I.E., whoever is able to get the most game software onto their platform will have the biggest market share. First, IBM, then when windows strangled coding, consoles, then, with icode, the IPhone and with HTML5/flash the web a bit in general, and currently, tablets especially ipad. Is there really any complexity to market dominance ? Really ?!? So, it seems I can program for HP, but it would have to have hardware. The pad would be nice if they bring it back at 200 but a bit spiffier chips and SD card capable compared to the fire (eventually, easy…currently….tricky). Good products succeed by having a clear, well-defined direction. When they change directions too often, they end up pointing in all directions which is the same as pointing in no direction at all. Much depends on the license. GPL V2 would be good for keeping the OS intact, but BSD would allow maximum reuse of the parts in other projects. HP being HP, they’ll probably try to roll their own license. And with the patent situation in the mobile space, they’d have to go with GPL v3 rather than v2. If they’ve given up on profiting off of the OS, they could go Apache or BSD, but if they ever plan to sell webOS, they don’t want to make the competition too open. If this is all a plan to get app developers writing for the platform and profit off of an App store, the license for the OS could be liberal, but licensing Apps developed under the OS license could be tighter. It never had a chance. The point that so many writers are missing is that WebOS, unlike iOS and it’s copy, Android, isn’t that easy to understand by the average person. It’s cool, it’s funky, but it needs to be understood before being used. The same isn’t true for iOS and Android. Both are discoverable, to use a term that’s been developed for that purpose. People who have never seen anything of iOS, for example, can figure it out easily, an example is the 2 1/2 year old kids who figure out how to use the iPad. But WebOS has what might be thought of as hidden commands that have to be known in advance. Swiping on the case is a good example. I would think that people went into the phone store, picked up a Pre, and couldn’t figure out how it worked, so got something else instead. They would then tell others how difficult it was. This has been dead from the start, and nothing will bring it back. your shouldn’t be writing here. This is a little over your head. I love my HP Touchpad. I was able to figure out the swiping (even the Angry Birds easter egg swipe) within minutes. Its very simple and easy to use. My 2.5 y.o. daughter figured out how to use my Touchpad without any instruction, so “bang” goes that theory. Honestly, if you’ve ever heard of WebOS, then you should have also heard that the the most compelling thing about it was/is the intuitive and fluid user interface. They treated open sourcing WebOS much as you put an old, useless horse to the field. Or, when your parents tell you your puppy “went to live happily on the farm”. Yes, there is ENORMOUS potential to WebOS. It was the slickest portable OS when it first came out, but it has languished while iOS and Android advanced. It needs critical care, and there’s no WebOS project at HP to do that. Linux wouldn’t be Linux if Linus Torvalds simply put his “hobby code” out there and then went on to other projects. You need to do more than show your code the door and declare it “open source”. You still need some form of leadership. However, WebOS has enormous potential. If HP makes WebOS a true open source project (not like Android which publishes SOME of its code when Google feels like it), and makes all versions of the code constantly available, and if Google’s partnership with the carriers and vendors deteriorates, those carriers and vendors might take a look at WebOS. Google has certain issues with Android: It’s become a major malware vector and Google can’t seem to get that under control. Vendors look askew at Google’s buyout of Motorola which makes Google, whether they want to admit it or not, a competitor to other Android vendors. And, Google’s special treatment of a single vendor as the model vendor whenever a new version of Android comes out (and gives that vendor a six month lead) doesn’t help. Windows Phone might improve with Nokia making nice phones and Microsoft’s aggressive push in integrating W7P into XBox and getting programmers to make apps for it. When W7P was first announced, many of the Android vendors would have jumped ship if Microsoft could have gotten it out to them in two or three months instead of over a year later. I think Chinese manufacturers like ZTE might want to look at WebOS. ZTE would like to manufacture a smart phone platform in the U.S. W7P is out for them because Microsoft has recently announced that chip vendors will select one major and one minor partner to work with to make W8 (and W7P) products. ZTE won’t be selected. Android will be out because ZTE will never get the break it needs. That leaves WebOS. But, like everything else they’ve done in the last decade, HP will simply blow it and end up looking like a bunch of fools. The truth is that the old Geek-Loved HP is now called Agilent. The current HP is nothing more than a marketing shop. The problem is that Android and iOS have such a big stake in the market that it might be impossible for someone else to get in. story is that some Agilent products are no longer in-shop, but labels stuck over import test equipment like Anritsu. When I read the HP announcement, my immediate thought was open sourced WebOS might be exactly what Firefox needs as it struggles for relevancy in the mobile space. Assuming the licenses are compatible, what do you think of a Firefox / WebOS combination? WebOS would get a large pool of open source developers and Firefox would get the platform they currently lack for mobile and the coming internet of things. Apple should have bought it for fifty bucks and gutted it of anything useful. Open Source is like a car manufacturer who boxes up a bunch of left over car parts and puts them in the parking lot with a “FREE” sign. The parts will be picked up in 10 minutes by 1000 dreamers, 2 of which will actually build a car. One of those 2 will be an incredible piece of hot rod artwork with a level of craftsmanship that art students can only wish for. The rest : 20 years later will be sent to the dump in the original boxes they came in. The problem is that one guy will probably be hit by a bus. HP, like Nokia, can’t have it both ways. If they’re going to Open Source it, they have to keep it that way, and that essentially means GPL-like licensing. But of course they won’t do that “for commercial reasons”, and it’ll get closed off again as fast as you can say S60. Make the Android and Windows wedge that will execute a WebOS application on one of those devices. Now sell it as the write once run anyplace framework. Forget iOS, they will never allow it. Maybe if it is the cross builder for an application. They won’t allow a generic tool that can run other, outside of iTunes applications. Whether iOS /Apple will allow it doesnt really matter. Why would they even be interested? I am a registerd iOS developer and dont care at this point. I am more than busy enough doing apps for actual money. I don’t have to worry about testing my apps for over 250 different configurations for a free app that can easily be pirated anyway. The only way I would even consider developing for something like Android would be by the hour, and charge for all mods, updates, etc. For iOS, I speculate all the time when I produce an app. I am willing to take the chance on making money or not based upon past history of the iOS platforn. Not so on ANY of the others. Call it a “walled garden” if you want. It works for me and millions of customers who dont mind paying $.99 or even (horrors) $4.99 for an app that works. I am working on a $79 app, call me evil, but the alternative app for that is a $400 laptop app. It is a specialized industry, and I believe they will see the value. Would NEVER do that for any other platform, unless something really changes. Cross platform mobile like this ? Jesus, dude, stop pimping your damn platform. I can’t speak for Android, but there are plenty of iOS apps that feel like they were built using some sort of cross-platform tool like this. And you know what? They all get one star ratings. They are crap, through and through. They are godawful slow, they have incomprehensible UIs, they are useless to any normal human being. This sort of cross platform Java business didn’t work well when it was first rolled out in the early nineties, and nothing has changed since then — stop wasting everyone’s time by pretending otherwise. They sell well on the Windows phone 7, because there are not 5000 applications in every category. Even for tech that is ‘dead’ or ‘fail’, there are millions of installed users. There is money in these technologies that are not in the news everyday. So their argument for Windows Phone is its lack of success? That’s dumb. Medical offices are all in the same building for a reason. If simply going where the competition (and, more importantly, the opportunity) is less, then we’d be seeing urologists in strip malls. If you are a mobile developer, choosing a C or D platform makes sense only if the platform is paying you money to be there. I’m out of the industry (and trying to get back in) as a consultant, since 2005 when I turned 45. But I have many friends still in the industry who code in COBOL – usually at places like Banks, that have money to pay them. When new platforms developed in C, then C++, then Java, and so on, the young bucks went with the new technology like a heard of buffalo turning on a dime and that continued and thats how things work and it works okay for most folks. But there are always legacy applications that need support and that’s provided serviceable careers to many of my friends who raised, housed, fed, educated their children. I always looked at it from a transportational point of view. Trains used to be the only transportation mode, well before trains there was water born (canal driven) transportation, then came Trucks, cars and buses, then came airplanes and helicopters. All of these different modes reduce the volume that runs across rails, but none of them ever completely eliminate the prior mode – they just capture the slice that makes the most sense. There may not be gold in them there hills for alternative platforms, but there may be copper. Not everyone can afford Wholefoods or even safeway, but the fact that there’s an Aldi’s or Save-a-lot means there’s profit in servicing smaller less lucrative markets for someone. Or so it would seem to me. They pretty much closed up the Erie Canal (NY State Barge Canal), but the Welland canal is doing just fine. Trains don’t move people in the U.S. any more — but they move a MUCH higher % of freight than in Europe (as I understand it, the proportions are opposite mirrors to each other), mean while trucks and trains and airfreight all compete and compliment each other. On the other hand, there is virtually no use for the horse and buggy platform – the last big use for that platform was the German artillery in the first half of WWII (Hitler’s army invaded Russia with 600,000 horses). I don’t know if this translates to mobile platforms, but you get my drift. Wow – Godwin’s Law invoked in a discussion about WebOS. Writing something that Hitler did doesn’t cut it. He needed to write something like “You know who else used horses? Hitler! !” to invoke Godwin’s Law. @Jafo. Goodwin’s law states “As an online discussion grows longer, the probability of a comparison involving Nazis or Hitler approaches 1.” Seems close enough to me. I just happened to be reading a book on the German economy during World War II, called “The Wages of Destruction” – By British Historian Adam Tooze, one of the points being that Germany wasn’t the modern economic super power of today or the image of mechanization – 600,000 horses is quite a shock. Mostly off topic, though not completely, I’d like to know how your (Bob) plan to buy a Fire for each of your three boys is working out. My impression is that when you read the reviews with a bit special glasses, you find that it has quite a lot to improve to get to iPad standards. BUT it sure is cheap. That seems to be it’s strength. Maybe Amazon should use WebOS (just to get back on topic). Santa has not yet finished his shopping…. For anyone considering a Fire, I’d recommend reading the one-star reviews on Amazon to counter all the excitement in the “press”. Steve Gibson ordered one and returned it, deciding that even without the defects in his unit, it wasn’t quite ready. He plans to wait for the next version of the Fire. How about you do your “naked family Christmas photo” as a downloadable app? Chris Hansen would like a word with you. HP gives up on smartphones – runs webOS on PRINTERS?! You left out the return of Carly Fiorina — that would be the hat trick. I predict that both companies will be gone in 12 months, acquired or bankrupt. If HP decides not to compete in the mobile phone market, no big deal. Competition is pretty thick in the mobile market. As I see it, there is still a lot of opportunity for WebOS in embedded systems. Consider the using it for next generation of operating system to replace iLO on their ProLiant Server product line. Beats the heck out of the java dependent command line in a browser setup they have now. Just SSH to the embedded WebOS on the iLO. For sure a good replacement for Dell’s DRAC hardware management system. How about all those routers / firewalls / WiFi boxes for the SMB & home use markets? Most run Linux anyway. WebOS could boost DD-WRT. Then there is the “smart-home” market for automation & vehicle navigation/infotainment systems. WebOS just might boost Zigbee. http://www.zigbee.org – ZigBee is the only standards-based wireless technology designed to address the unique needs of low-cost, low-power wireless sensor and control networks in just about any market. Anyway, innovative people will find creative uses for a good operating system. What is HP’s commitment to WebOS? Was it just a press release? How many head count are they contributing to maintaining and growing the project? What products depend upon the OSes’ survival? What is their goal for the OS? They don’t actually say what they are contributing except moldy code. Are any WebOS devices actually shipping to the market today? I didn’t think so. When was the last major OS upgrade? That long ago … hmmm. HP hasn’t shown much “grit” to stick with their $1.2+ billion investment in WebOS. I’m an iOS developer. How does moving beyond iOS and then Android get me anything? WP7 is a much more important OS after the big two than WebOS. WP7 has the support of two major vendors, one of whom, MS, has the deep pockets to stay the course. HP, by open sourcing WebOS without a product based upon it, is just showing how little their future depends upon WebOS. Why would I base my future on it? HP hasn’t. Feh. What a waste of an OS and $1.2+ billion dollars. Fascinating!! Cringley you have to keep us up to date on everything WebOS. Wow. I can’t imagine a more irrelevant topic. A has-been company with a dead platform. Perhaps this has-been writer can suggest the return of the telegraph or flint lock rifle. Maybe with 10 years of development, HP can get to where everyone is today. Of course the market will be off in a completely different direction. Which is why you never waste resources unless you can be in the top 2-3 in market share. Look at the share price of Rimm, down 90%. A perfect merger for basket cases like Yahoo or Aol. Open Sourcing WebOS might work or it might fail miserably. 3) Sun learned the hard way, they couldn’t control Open Solaris, now it’s forked nine ways to Sunday. It’s a tricky thing to do for a company with the wrong culture. HP has screwed up so many times in the past, I don’t think they can pull it off. I was relieved when they removed the prior CEO who was going to disband the hardware and go software only. Having painful experience with HP’s horrific software, I am glad they changed direction! Advise for HP? Take the internal WebOS team and put them in a new division who has the freedom they need from red tape, etc. Treat them like a startup in OSS mode and let them go for it. Make sure the license is open enough but not overly restrictive like GPL v2. Perhaps a satellite orbit app? Great article! I loved the insight and advice given. Also, your blogging style is very pleasing to read. If you have time kindly make sure you visit my new website and tell me what you think. 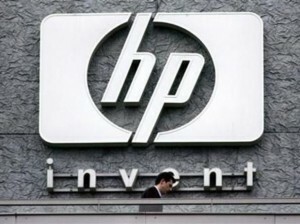 What do you think about HP merger of PSG and IPG business units? Ich glaube, die Fakten in Ihrem Zuschreibung geschrieben ist wirklich super. Ich habe seit der Arbeit auf einer vorläufigen Analyse Mission zu diesem Thema und Ihr Weblog wirklich mit einer Vielzahl von Überlegungen, die ich hatte geholfen. Ich erstelle eine Hausarbeit für die Schule und ich? M folgen derzeit viele Blogs für die Bewertung.